Wireframing and mockups are essential elements of the web development process, and although some designers choose to bypass this phase of the design process, choosing to proceed from the information architecture and design brief directly into the design, it is immensely beneficial to create wireframes between the elements of conceptual site planning the development of the site. 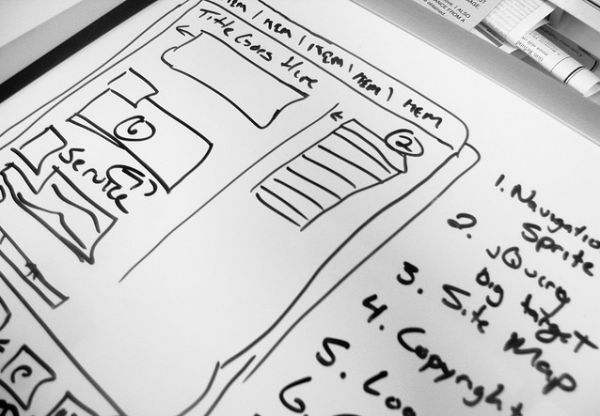 There are several benefits to wireframing that make it an integral part of the design process. 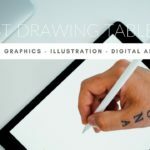 In its simplest form, wireframing can be done with a pen and paper; however, there are multitudinous wireframing tools that will allow designers to create a highly expressive wireframe in a matter of minutes. When wireframing is included in the process it allows for a more fluid and consistent transition from concept to reality. This article is centered on introducing some of the top wireframing tools currently available; however, it may be worth the time to offer a succinct explanation of what wireframing is. Before listing some of the top wireframing programs, it is important for readers to have a functional perspicacity of what a wireframe is. Although experienced designers will understand the need for a wireframe, a novice designer may not. The advancement in technology has introduced CMSs that offer highly functional features that make it easy for a novice to design and build highly functional and optimized sites, so it is imperative that these designers understand the vital nature of including wireframes in the design process. A wireframe can be viewed as a low-fidelity impression of a website’s layout design — often referred to as the skeleton blueprint or outline. The wireframe represents the basic layout of each page of the structure; however, it does not possess all of the finished elements. The wireframe will reveal the navigational scheme of the site as well as all of the major components of the site. For those project managers who have a proclivity to showcase their work prior to actually starting the project, wireframe tools can be a major benefit. Wireframing has the capacity to help a designer design a mockup site within a matter of minutes, using drag and drop technology, allowing them to move different elements of the website to its specific location on the application workspace. Below you will find a list of some of the top free wireframing tools. Mockflow is an intuitive, easy to use wireframing tool that provides the capacity for designers to create mockups, of websites such those created through Drupal and WordPress CMSs. Additionally, it can be used to generate software GUI and a mockup app wireframes within minutes. Due to the fact that a designer has the option to choose between mobile, web and theme based options, it is fairly simple to add new projects. Mockflow also makes it easy to export completed projects in multiple formats including Power Point, html, pdf and high-quality PNG files, etc. Mockflow currently has the most extensive library of mockups that can be used to create wireframe blueprints. 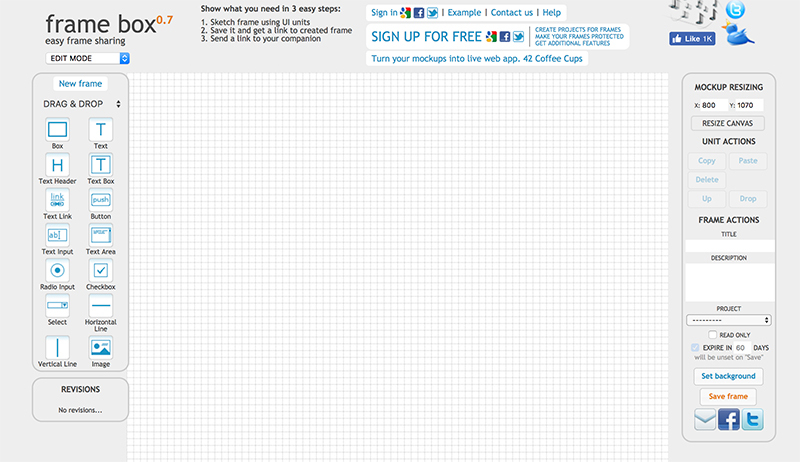 Mockplus is a wireframing tool that provides the capacity for designers to create mockups, of websites and mobile apps. Mockplus comes with 3,000+ icons and 200 components. Just drag these components into the canvas for a combination to prototype your app ideas within few minutes. Focus on design itself and no more efforts will be spent on making a component. It also supports multi users working on the same project. One click to sync the project to cloud and the works of different designers will be combined. The Balsamiq wireframe tool has the capacity to be downloaded to all of the major operating systems. Additionally, it also offers the ability to build online wireframe projects. This tool has a higher focus on website mockup and wireframes, offering some exceptional features — ranging from accordion lists to charts and more. Also, the designer has the option of exporting files from this tool as a PDF, PNG or as a clipboard element. MockingBird offers its wireframing tool as a SaaS application. The free online application provides a plan that includes one project with up to 10 pages. Designers will also have the option to share their projects with friends by exporting them in PNG or PSD files. Because of its simplicity, MockingBird is one of the more commonly used wireframing tools for novice to intermediate level designers. This online application is lightweight, meaning that the program features are very basic; however, it still has the capacity to provide a number of simple overlay elements for basic designs. Wirefy is an online application that was designed with the specific idea of providing web designers and developers with a tool that has the capacity to allow them to build manageable wireframes in an extremely short period of time. This application will serve to expedite the design process as it creates a smoother transition between the initial sketches and the deliverables. This platform does require workflow that is simple as well as a well-defined collection of atomic elements in order to ensure that new UIs can be pulled together in a rapid fashion. Designers will have the option of upgrading to premium plan; however, the free plan possesses all of the tools that are necessary for the designer to create sample pages as well as develop a better idea or feel about the direction the project should take. Pencil Project has a broad capacity range, allowing it to be used for a number of tasks, such as building diagrams and mind-mapping; however, it was designed to function as a wireframe tool to facilitate the development of wireframes for web designers and developers as well as to build prototypes. The platform is offered as an open source desktop application, which is completely functional on most current platforms. Pencil Project allows a designer to easily build Android or IOS templates, which can help save the designer a significant amount of time. Although the majority of wireframing tools on this list offer some level of mobile support, it is always nice to have access to a free iPhone mockup tool. For the instances when a designer may need to perform some quick wireframing or prototyping, they will have the option of accessing this lightweight mobile tool in order to get the job done. The designer of Savah wireframing platform gave a considerable amount of thought to ensuring that the designer would possess the control and creative freedom necessary to maximize their productivity when building a new wireframe. This platform has the capacity to function as a desktop tool or as a mobile application. Savah also has built-in collaboration support. This program has a nice set of features considering that it is free. Cacoo’s free plan makes it extremely easy for designer to create wireframes of website mockup on their desktop, or even on a smartphone. 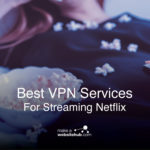 Unfortunately, the free plan only allows exportation in the PNG format; however, for freelancers who are not contracted to major clients, this should not create an insurmountable obstacle. It is perfect for using as a platform that will allow a designer to expand their ideas. The free version comes with a nice set of features and tools, and if the workload and demand increases, it is extremely easy to upgrade. 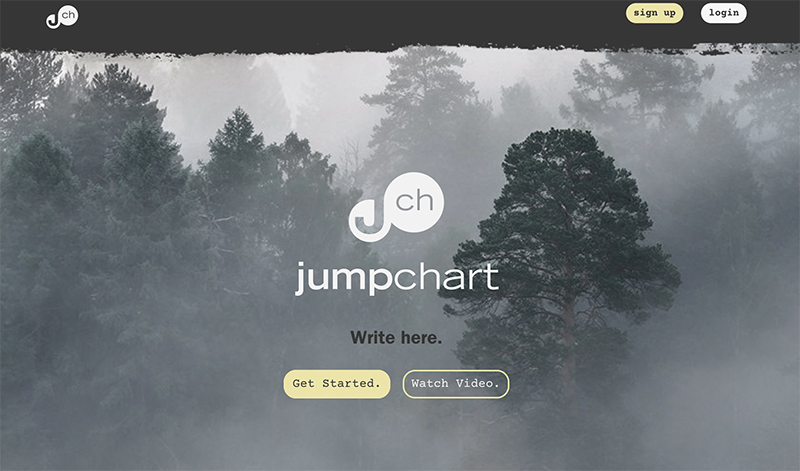 Jumpchart offers the capacity to involve the entire project team, meaning that everyone that is assigned to a single project will have access to all of the latest changes — allowing them to contribute to the needs and direction of the project. Additionally, the efficiency provided by this platform helps to eliminate a great deal of the back and forth confirmation communications. 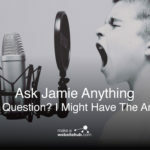 Because all changes and updates can be easily monitored, there is no reason for consistent questions concerning whether a particular task has been completed or not. Jumpstart is ready to be used on tablet devices, and the platform also allows the designer to export their designs to WordPress, subsequently facilitating the creation of live sites within a matter of minutes. The free plan supports up to two users, with one project and a maximum of 10 pages. This should be adequate to give the program an adequate spin. iPlotz offers the designer the option of creating navigable, clickable wireframes that provide the experience of a live software application or website. 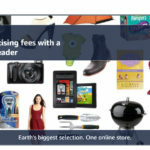 The designer also has the option or inviting others to offer comments on the design. Additionally, once the design is finished, the designer will have the capacity to effectively manage the task of developing the project. The free version offers one project with a total of five pages. 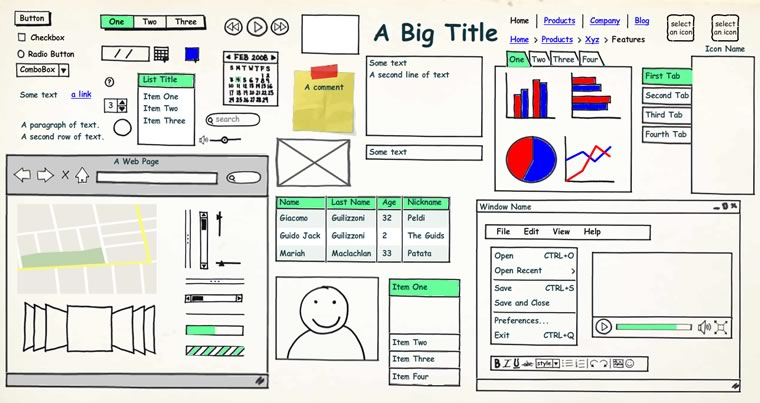 The aforementioned wireframe tools are each unique in some form; however, they are all highly functional when considering that they are free. 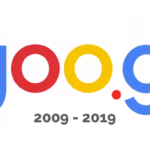 In those cases in which a designer will need fewer functional restrictions, the free plan will allow them to test drive the program to determine which one works best for their particular task.